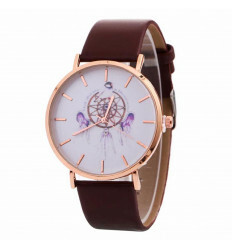 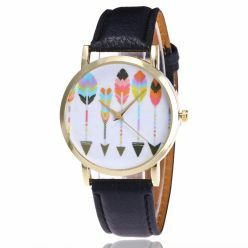 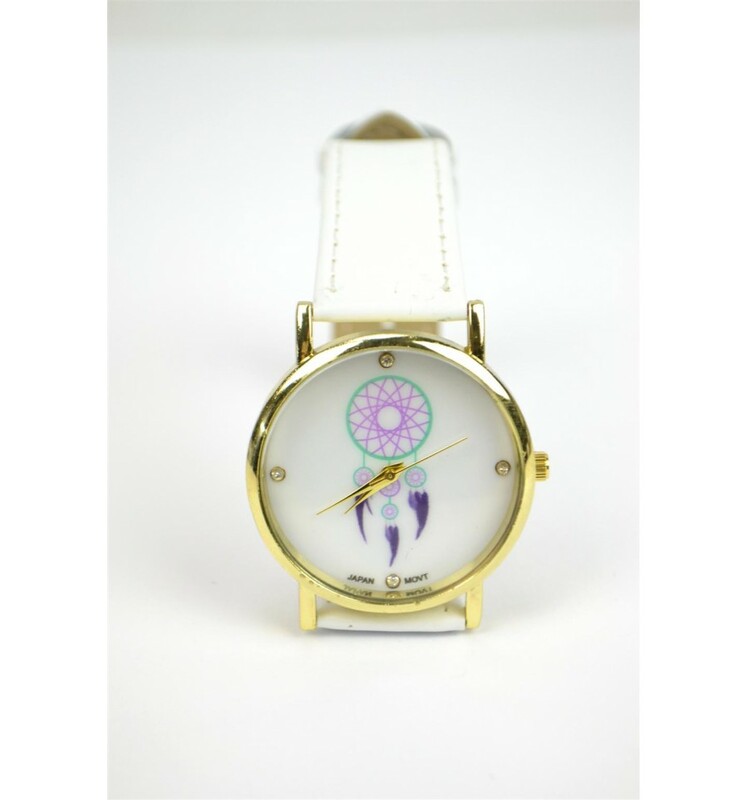 Watch, women chic bohemian pattern, giant dream catcher, free shipping. 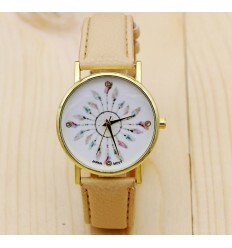 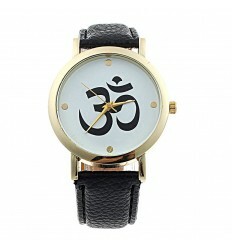 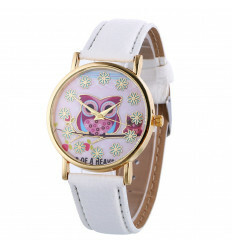 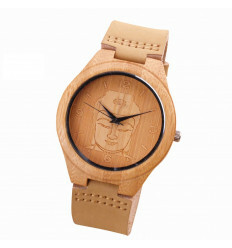 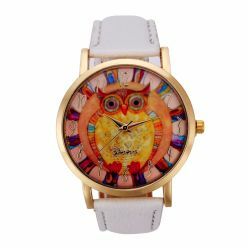 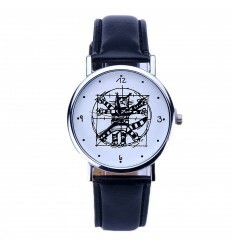 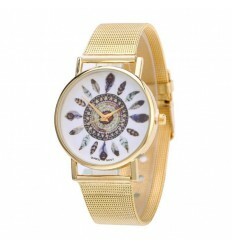 Watch costume for woman model "Boho Chic" with pattern Catches Dreams and bracelet in imitation leather white. 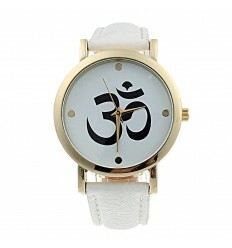 Bracelet : adjustable leatherette smooth white sewn edges, metal buckle silver. 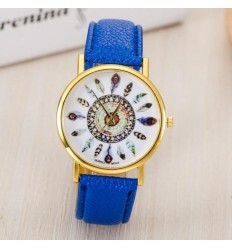 Width = 18mm. 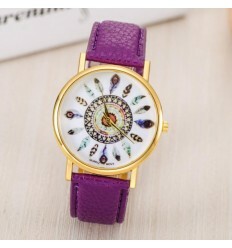 Total length of the watch (bracelet + dial) = 23.6 cm (standard size that is suitable for the vast majority of wrists and morphologies). 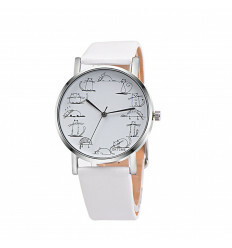 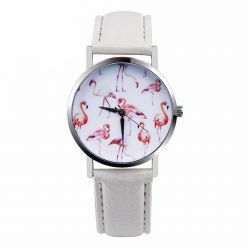 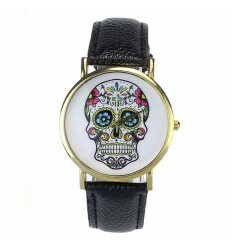 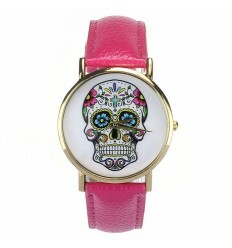 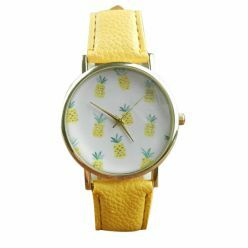 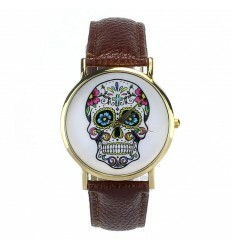 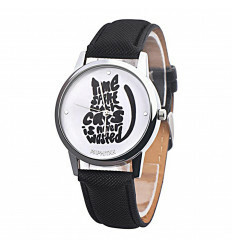 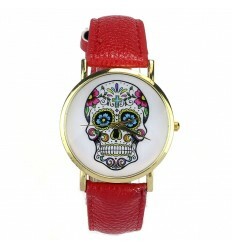 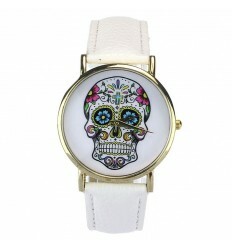 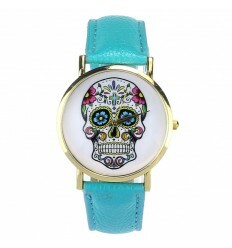 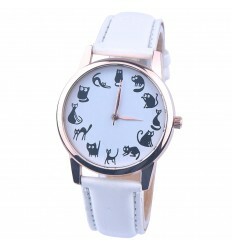 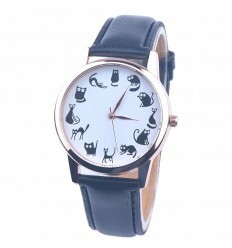 Skulls mexican, feathers, butterflies, elephants, cats funny, anchors, marine... many other models of watches are waiting for you in our online shop !